In a country like Saudi Arabia, progress on some fronts can be measured in giant strides. On others, it’s a matter of tiny baby steps. Unfortunately, the giant strides come in technical matters, like building the world’s largest desalination plant or planning the world tallest building. Social change comes slowly. Nevertheless, those little steps count. In the 1950s, there were no schools in Saudi Arabia. Then there was one. That one was followed by thousands. In the 1960s, there were no schools for girls, then there was one followed by thousands. Change starts small. When people realize that the world did not end because of a little change, that change is allowed to expand. The latest of the little steps, the bridgehead into occupied territory if you will, is on the political front. Women will be appointed to the all-male Shoura Council. Writing at Saudi Gazette, Samar Fatany reports that 30 women will be appointed to join the 150 men currently there. Yes, 17% of the membership is not representative of 50% of the population, but it is a significant step. And while the Shoura Council is not yet a body formed through elections, women will be taking part for the first time in the next round of Municipal Council elections. 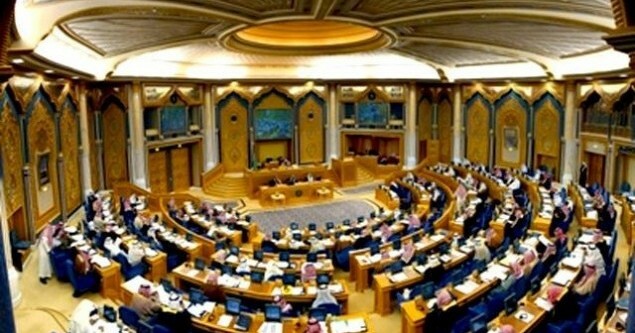 The Shoura council is expected to appoint 30 women as members in its next term, according to informed sources at the council. Several institutions had been asked to nominate names of competent Saudi women with high credentials and good experience. King Abdullah, Custodian of the Two Holy Mosques, will head the commission that will review the names and select the final list. There are many women today who possess the qualifications that fit the profile. We hope the commission would select the list according to merit and choose the most qualified. We need women who have leadership qualities and enough confidence to stand up for the rights of the underprivileged and are aware of the needs of society. We do not need “yes” people who are not willing to take a stand on controversial issues that impede progress and development.